The Mens AM Downieville Mid Shoe from Vaude is at home on the trails of this world. 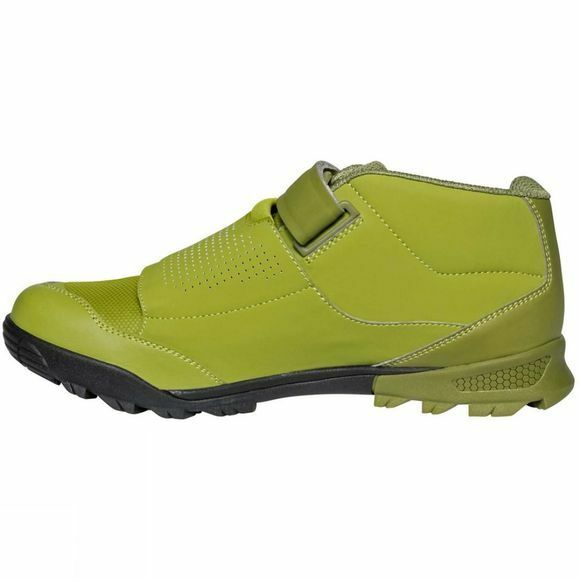 The mid-high All Mountain shoe combines durability and lightness for fast-paced bike fun. Ideal for epic trail tours through undiscovered terrain. The laces-Velcro closure combination ensures a secure hold and increases your pedal control when going all out on those backroad trails. An Ortholite insole, reinforced in the pedal area with harder PU foam for better pedal pushing power, offers optimal support and comfort. The asymmetric shaft design in addition to toe caps protects your feet from the crank arm as well as rocks and sticks on your ride. A laces cover also protects against dirt and dampness. Ventilation holes in the upper add great looks and better air circulation to keep you looking and feeling your best. With the All Mountain SUPtraction T Blend outsole you can rely on a dynamic profile with a larger contact surface to the pedal and good abrasion resistance, as well as outstanding support on any terrain. 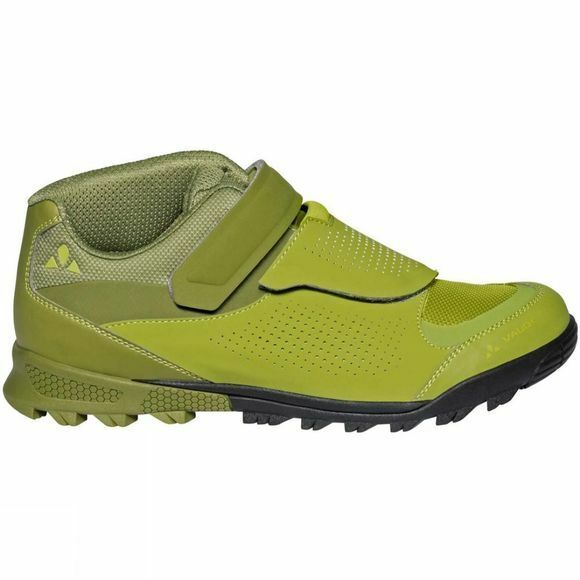 This MTB shoe is compatible with most current clipless systems and, with a medium stiffness (V-Flow 6) to it, ensures efficient power transfer to the pedal while also allowing for comfortable walkability.